was going have a bet on this, however not a strong line up is it ? Not really, but totally depends on Rotherham. Its an u21s. Macca hasnt really played. Chander Lear wrote: Not really, but totally depends on Rotherham. Its an u21s. Macca hasnt really played. Exactly. Just hope Macca and the new lad Tomlinson get going. The lads played well to be honest and all put in a shift. Was a decent watch. Tomlinson, industrious, energetic and had a pretty decent first 45 and was rested for the 2nd half along with Macca (Capt). The peno was nailed on as the Miller almost decapitated Tommo with his foot. Macca put himself about a bit but looked a little 'weighty' from my viewpoint. He's always been 'chunky' so it's probably just me. Even at 3-1 down we created some glorious openings and with a little luck might have sneaked somat. Tater, how did Zak Vyner do for Rovrum? He's my cousin. Been in the team most of the season but has just been dropped. He was a little out of it tbh, our lads King and Walker handled him well. Not saying he was poor, but wouldn't say he stood out either. Spiritater wrote: He was a little out of it tbh, our lads King and Walker handled him well. Not saying he was poor, but wouldn't say he stood out either. Yeah, not sure he's enjoying it there. He's only in loan, but it hasn't worked as well as his previous loans. I'm hoping we'll sign him when we get to league 1! Didn't today Dan, played midfield. Think there playing him there too toughen him up a bit to aid his development. He’s really good in whatever position they play in him. Steve Hymas was saying the other week why they were playing him in defence but I can’t remember what he said the reason was. That does surprise me a bit to be honest. How is he doing? 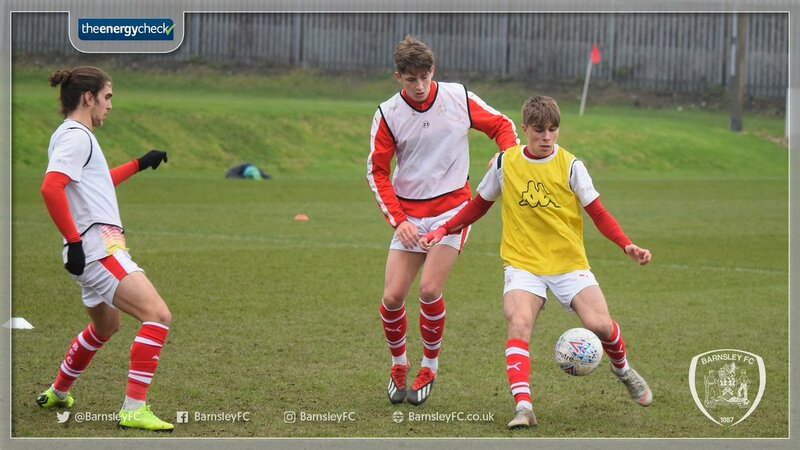 He's also been on trail for Barnsley reserves last month. As he. Strange given he’s on a professional contract. I noticed that the new manager of AFC Mansfield is a guy called Ward. Is he the same guy who was with the Stags and this lads dad. Or am I mistaken and don't know what I am talking about. Heard they wanted to sign him but we were not interested. I believe Adam Murray is a youth coach there so will know about Ward. Apparently they (Barnsley) didn't want to pay a cent for the lad they just wanted him for free. Now being as though Keaton has been with us since he was 15 and we've put a lot of work into the lad I think the Tykes have a lot of cheek asking for us to give him away. Keaton's main downfall is his stature and the club are working to beef him up. He's a very gifted young man with a football but is lightweight when it comes to big lads footy atm. He is developing fast though and may well find the less physical nature of Lge 1 more to his liking if we're promoted.